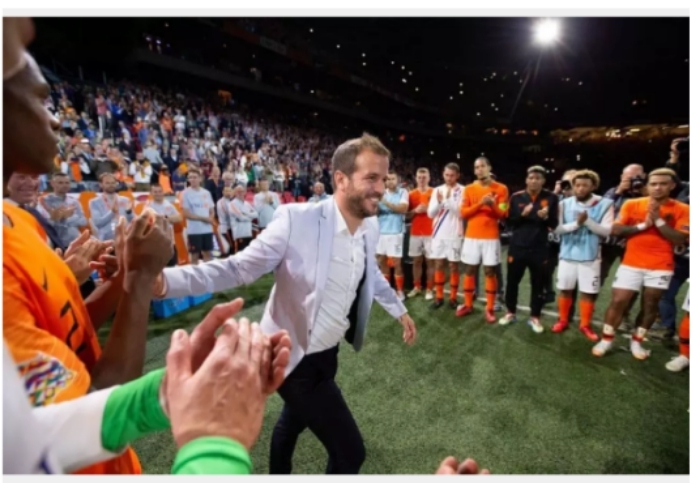 Ex-Real Madrid and Tottenham star midfielder Rafael van der Vaart has revealed he is retiring from the round leather game. The 35-year-old Van der Vaart, who is in his 18th year as a professional football star was under contract with Danish side Esbjerg fB. “I just have to stop now. I am not here to rehabilitate, but to play football. The fun will be different and that's what I want to be. I wanted to become a football grandpa, but unfortunately that is not the case,” the attacking midfielder noted, even as he was quick to add. “At this moment I can only be grateful for all the years I was allowed to play football. All those players, staff and fans, from the ArenA, the Volksparkstadion, White Hart Lane to the Bernabeu, I just have warm feelings about it. It was a great time," submitted Van der Vaart, who marked his senior debut for Ajax at 17, and went on to score 52 goals in 117 appearances. In 2005, he completed a switch to Hamburg FC, where he netted 30 times in 74 appearances during his three year stint in Bundesliga. The next club was Real Madrid where he did not find the going easy as he could only account for 11 goals 58 appearances. Van der Vaart left the Los Blancos after two difficult seasons for Tottenham Hotspurs in the English topflight, scoring 24 goals in 63 matches before returning to Hamburg in 2012. He also plied his trade with for Real Betis, Midtjylland and Esbjerg between 2015 and 2018. At the international level, Van der Vaart represented the Dutch national team, Orange in three European tournaments and was an important member of the Dutch squad to the 2010 World Cup final in South Africa.